Five Maltese men have been detained in Sicily after they were caught trying to smuggle to Malta scores of finches in atrocious conditions. 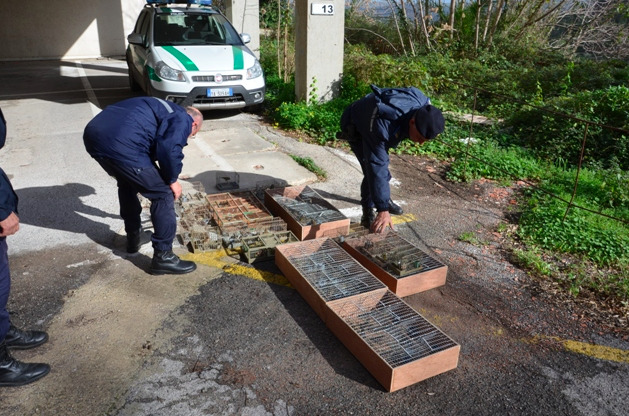 When they were intercepted between Modica and Ragusa in Sicily, the men were caught in possession of five goldfinches and five serins to lure nearly 100 birds, according to Il Giornale Ibleo. Had the Italian police not intervened the hunters are believed to have captured more than 500 birds, given the equipment they held with them. Many of the birds were cooped up in small boxes and mistreated to such an extent that they would not have survived the voyage, the portal reported. They were squashed in such restricted spaces as to prevent them from chirping in order to circumvent customs controls before boarding the ferry. One of the birds even had its wings broken. The birds are believed to have been on their way to be smuggled to Malta on board the catamaran where they would have been sold on the black market. The identity of the Maltese poachers is not yet known. The birds were released shortly after. The Maltese government recently controversially decided to reopen the finch trapping season, despite being in breach of EU regulations. 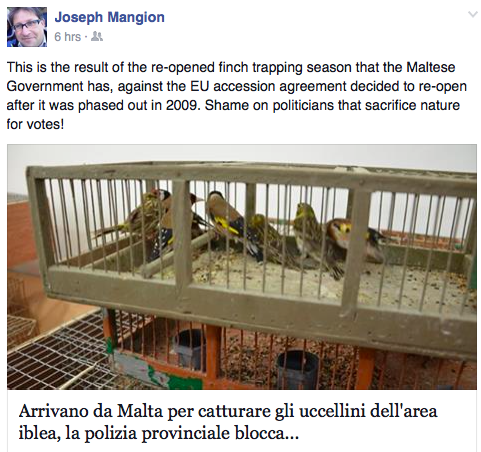 Former Birdlife Malta president Joseph Mangion made his arguments on Facebook.